Elbow bursitis, also called olecranon bursitis, causes fluid to collect in a sac that lies behind the elbow, called the olecranon bursa. A bursa is a slippery, sac-like tissue that normally allows smooth movement around bony prominences, such as the point behind the elbow. When a bursa becomes inflamed, the sac fills with fluid. This can cause pain and a noticeable swelling behind the elbow. 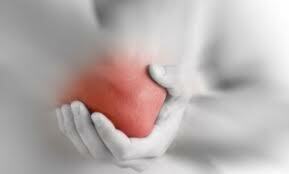 Are the complications of elbow bursitis? Occasionally, the swelling and inflammation can be the result of an infection within the bursa, this is called infected elbow bursitis. Patients with systemic inflammatory conditions, such as gout and rheumatoid arthritis, are also at increased risk of developing infected elbow bursitis. What are the signs of infected elbow bursitis?